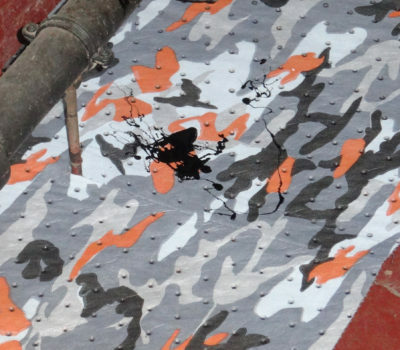 Hide the Mat not the Mess with our NEW Industrial Camo Mat! 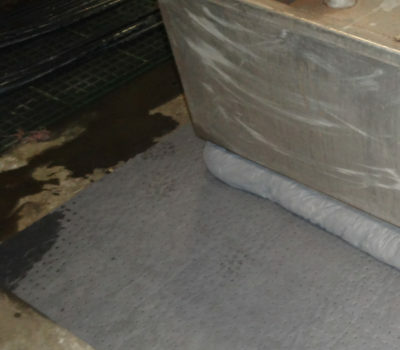 Our NEW industrial camouflage mats are great for hiding fluid stains and foot prints. 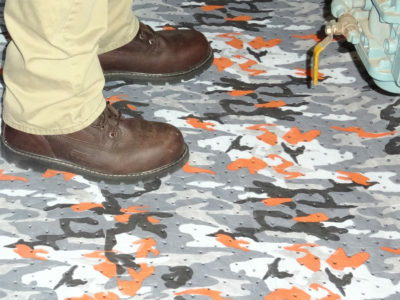 The hi-vis orange infused into the camo pattern allows better visibility even in low light conditions further preventing slips, trips, and falls! 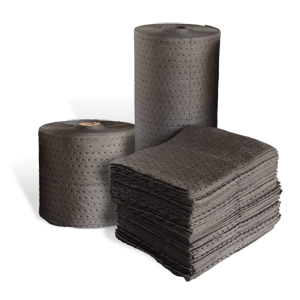 The stiff, durable, camouflage side faces up, and the soft, tacky, fine fiber side goes down. 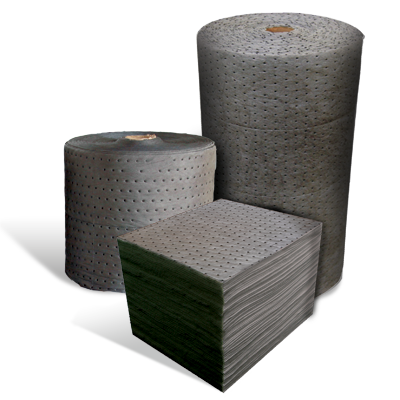 Perforated for ease of use, tear off what you need. 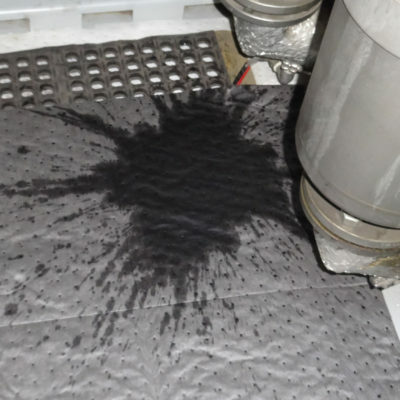 Lay it down in walkways or in front of work stations, and get back to work…Safely! 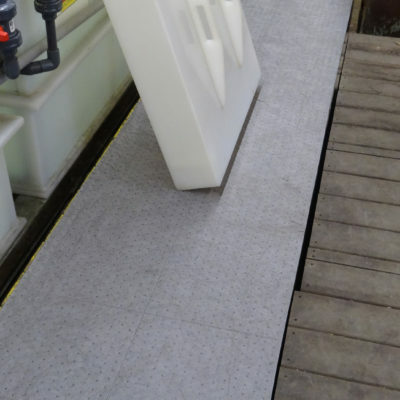 Gray dimpled meltblown polypropylene sorbents are single-layer, economical sorbents. 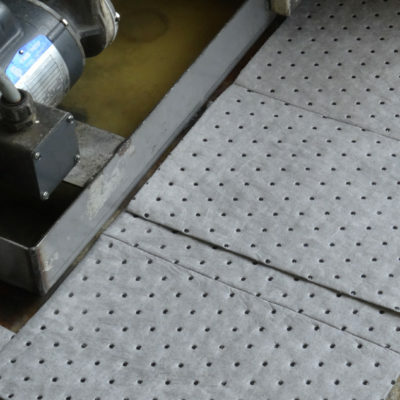 We pass this media through our thermal bonder, which ties down loose fibers. 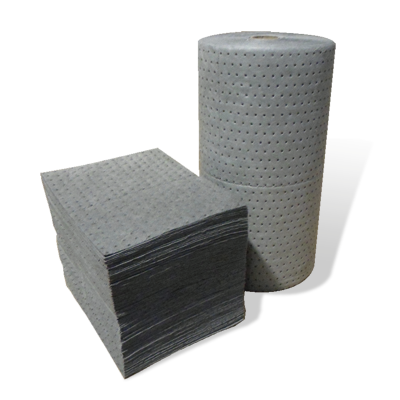 Dimpled sorbents are also perforated, which promotes waste minimization. 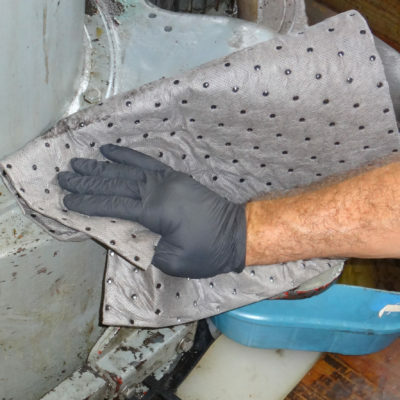 Spunbond meltblown polypropylene sorbents have an exceptionally strong, ultra-light nonwoven that resembles polyester. 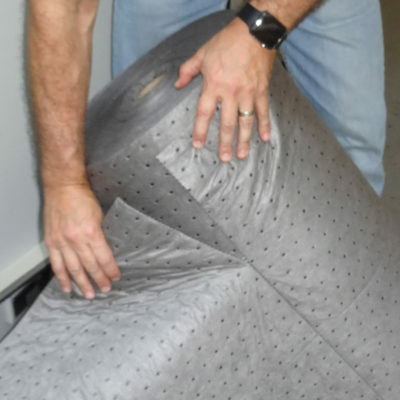 This fabric’s high level of tensile strength and durability does not hinder its absorption capabilities. 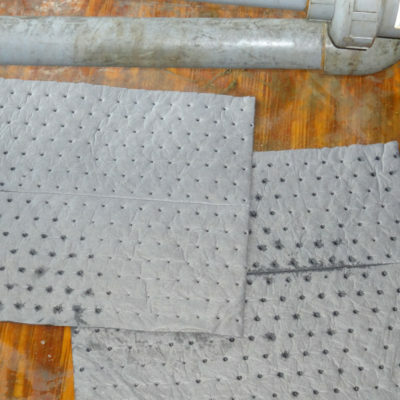 Thicker fluids penetrate the spunbond membrane and saturate the highly absorbent meltblown center layer.